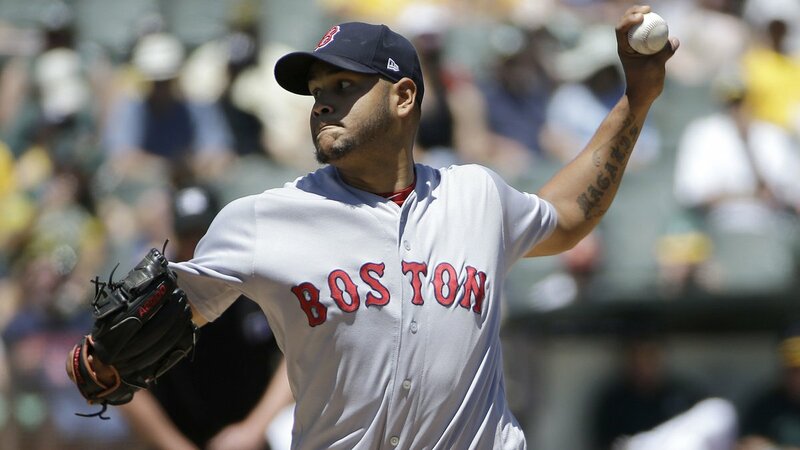 The Red Sox pounded out fifteen hits and got eight strong innings from Eduardo Rodriguez in a 12-3 win over the Athletics on Sunday afternoon in Oakland. Every Boston starter had at least one hit; Hanley Ramirez and Christian Vazquez had three apiece. Rodriguez (pictured) scattered six hits and walked only one batter in picking up his third win of the season. He struck out eight. Mitch Moreland hit his fifth home run in the sixth inning.